Red Wine, Green Tea and Dark Chocolate: Omega-3's EPA/DHA are the most studied nutrients in history. 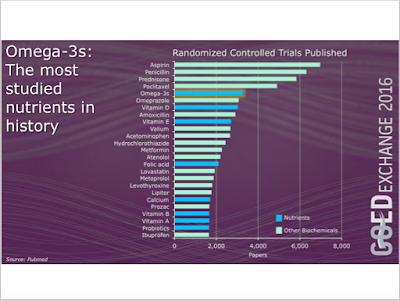 30,000 studies published as of December 2015. 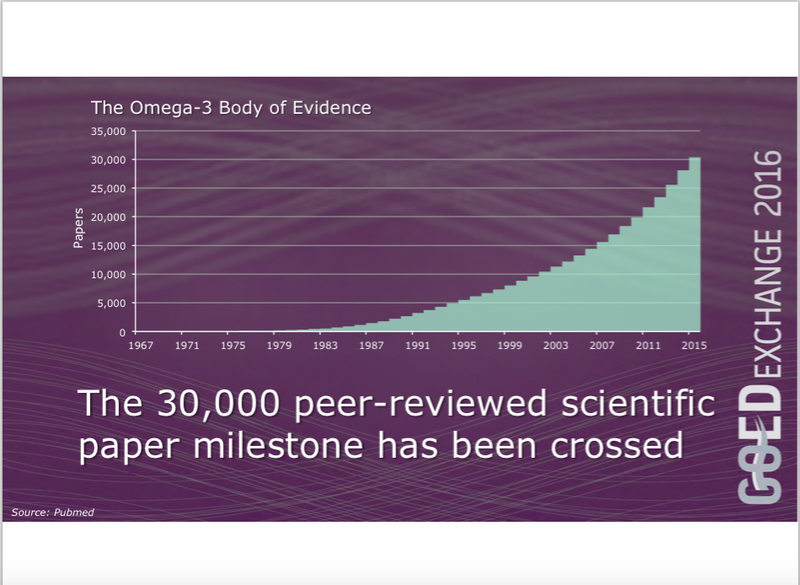 Omega-3's EPA/DHA are the most studied nutrients in history. 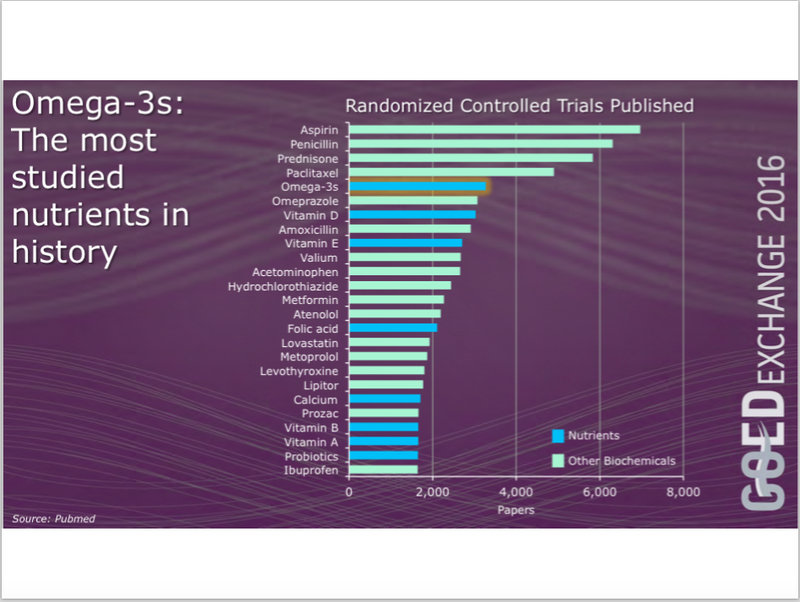 30,000 studies published as of December 2015. 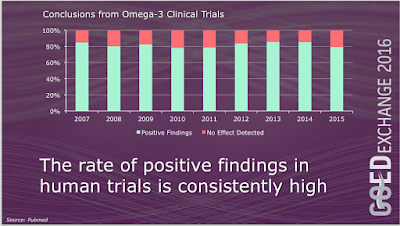 So much for journalists claiming there is not enough science to recommend taking omega-3's from fish. Go on ignore the research. You are simply demonstrating natural selection. Darwin would be proud. Have just returned from a conference on fish oil Omega-3s in the Canary Islands. Here are a few images from that meeting. Omega-3's are not only the most studied nutrients. 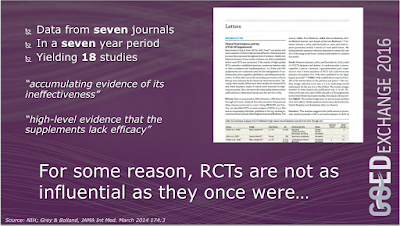 There are more randomized controlled studies on them than on many prescription medications. Take a look! 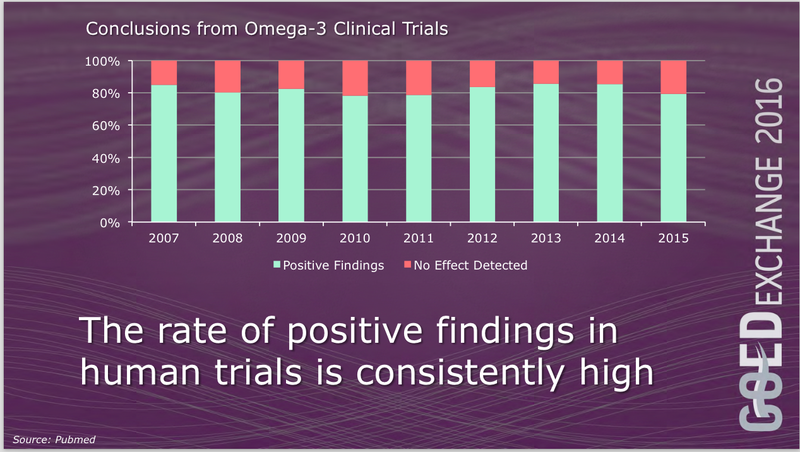 And the rate of positive findings, meaning benefit to study participants is consistently high. Around 80% of trials found benefit. The remainder found no effect. 80%. Not bad! And there have been many many studies. 30,000 as of December 2015. So how many studies did the naysayers in recent NYTimes and Frontline stories review? Eighteen. Thats right, they selected Eighteen studies. From which they make the broad statement that there is not enough science. Wow. That is some bold assertion given the numbers. I don't know about you but for me and my family...we're sticking with the fish oils. Because of the science. My thanks to Adam Ismail at GOED for the images. Great presentation Adam! 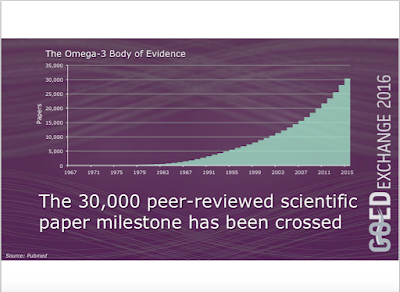 Check out the science of Omega-3s at Always Omega-3's and at the Fats of Life Newsletter.